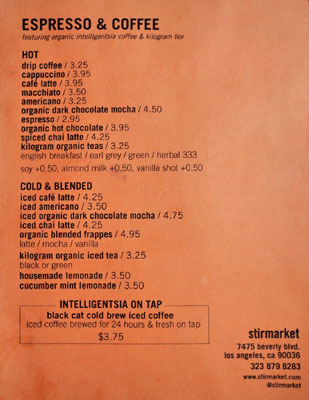 I guess food halls are a thing now, and one of the tiniest examples is no doubt the new Stir Market, which debuted last November. 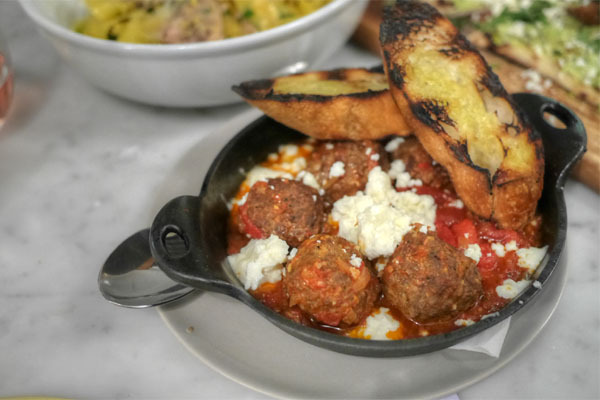 The place is billed as a Californian take on the classic European gastronomic tradition, and is an all-day affair featuring a restaurant, bakery, marketplace, rotisserie, wine/beer bar, espresso bar, and probably some other things that I overlooked. Stir is the work of real estate investment professional and Francophile Mimi Mok, designer Bryan Libit, Executive Chef Christopher Barnett (Four Seasons BH, Hotel Bel-Air, Primitivo, Le Relais d'Auteuil in Paris), as well as the most recognizable of the quartet: Jet Tila. To catch you up, when we last saw Tila in May 2012, he was operating The Charleston in Santa Monica (now Tacoteca). Later that year, he partnered with foodservice contractor Compass Group to develop the fast-casual concept Modern Asian Kitchen, created the world's largest seafood stew, and also launched KLAA's So Cal Restaurant Show. At the start of 2013, Tila made an appearance as a judge on Chopped (alongside Scott Conant and Amanda Freitag), and in April, was appointed the first Culinary Ambassador of Thai Cuisine by LA's Royal Thai Consulate General. May 2013 saw him compete in Cochon 555 as well as the debut of Kuma Snow Cream in Las Vegas, his Taiwanese xue hua bing concept. 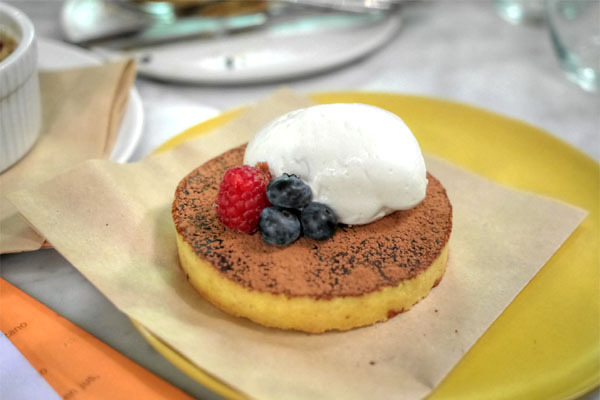 That August, Tila debuted as a judge on Food Network's Cutthroat Kitchen, and in September, hosted LA's first Thai Food Festival at Paramount Studios, joined by Susan Feniger, Evan Kleiman, David LeFevre, Andy Ricker, Kris Yenbamroong, and Sang Yoon. 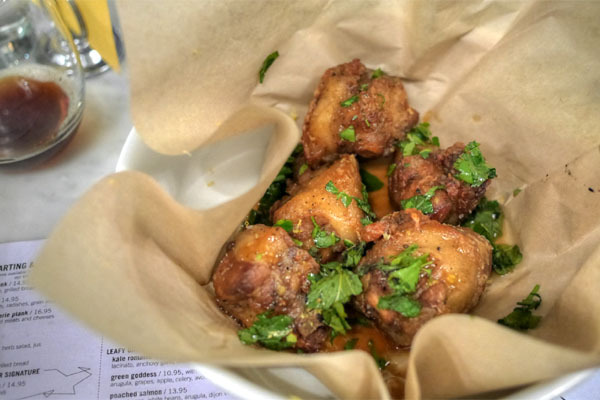 2014, meanwhile, began with another go at Cochon 555 (Ray Garcia won again), and in May, he was brought on board as a partner at Dallas' Pakpao Thai restaurant. He appeared on NBC's Food Fighters that July, while October had him participating in Vegas' Life Is Beautiful festival. Finally, if you want to catch Tila in person these days, you can always sign up for one of his Flavors of Thai Town food tours. Stir occupies the former digs of Buddha's Belly (where Kevin Luzande worked prior to Acabar), a roughly 4,000 square-foot space redesigned to European-esque spec by Libit. Inside, you'll find the various stations, as well as seating for about 50 guests (with another 30 or so on the patio). 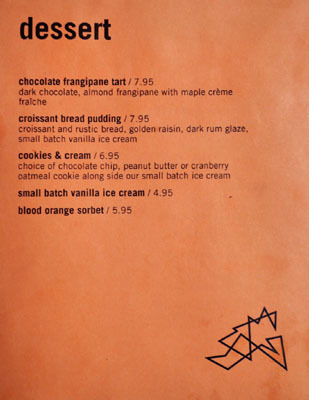 Above, we see Stir's dinner menu, which ostensibly incorporates a number of items found in the market. 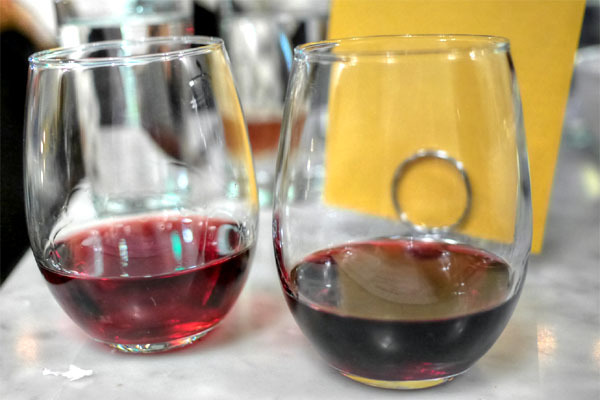 Booze-wise, you get wines on tap, a handful more in bottles, as well as eight beers on draft. Click for larger versions. Mok was in the house tonight, and provided us tastes of the wines on tap to start things off. 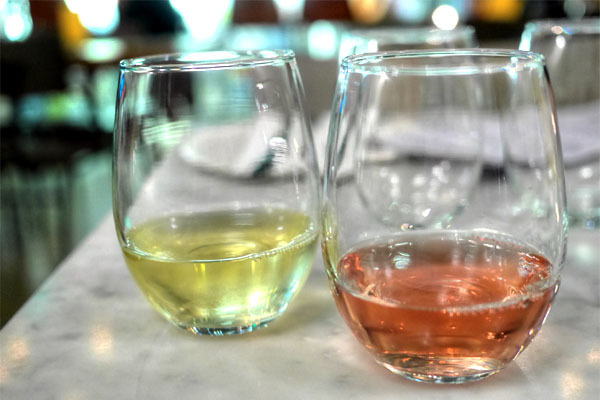 On the left was the chardonnay, brewer-clifton, santa rita hills, ca 2013, a crisp, refreshing Chard with juicy fruit and lemon on the nose and a palate that went slightly grassy, with a subtle spice and minerality to it. That was followed by the rosé, acrobat, rose of pinot noir, oregon 2013, which I enjoyed as well. Think delectable aromas of floral strawberry, and taste-wise, we had more light fruit joined by a bright acidity--a fun wine. 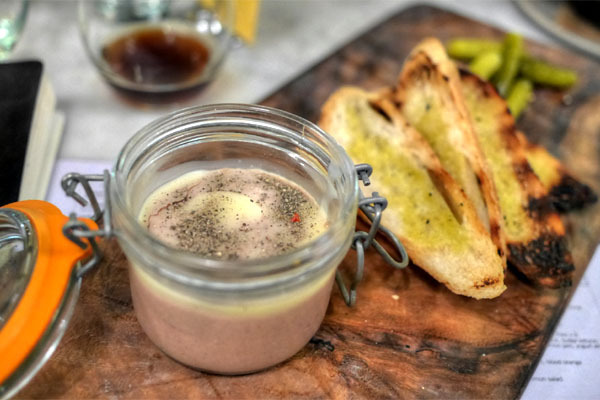 Naturally, we had to order the pâté, and Stir's example was spot on, a smooth, spreadable preparation that offered up the rich, earthy flavor of the liver in spades, offset by salty hits of Maldon. 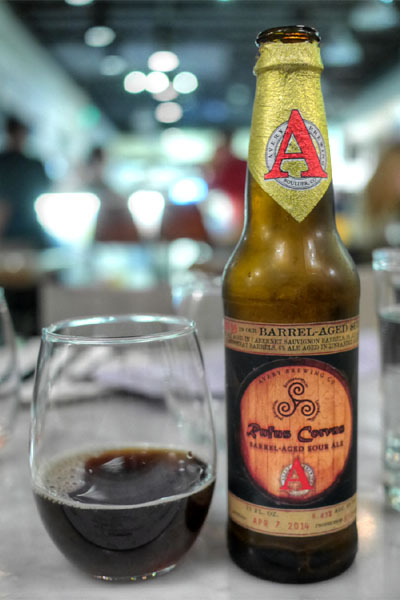 We were able to BYOB tonight, and thus got things going with the 2014 Avery Rufus Corvus, a blend of three sour ales: 85% aged in Cabernet Sauvignon barrels, 9% aged in Chardonnay barrels, and 6% aged in Zinfandel barrels, all for up to two years. It was superb, smelling of funky dark fruit intermingled with a savory, almost vegetal tinge, while it tasted of tart roast and malt, along with woody nuances and a distinct, piercing acidity. 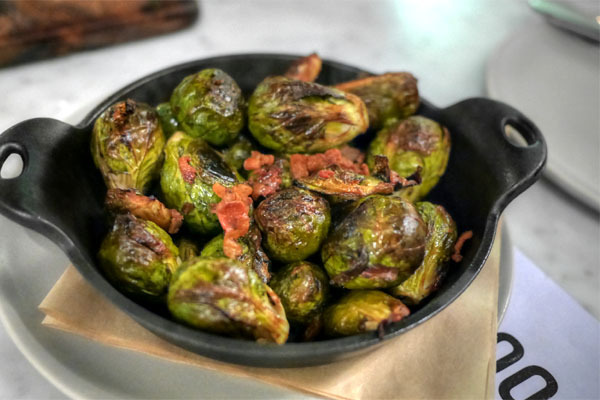 I had to try the Brussels, of course, and Stir's were on point: substantially-textured, pleasantly bitter, and accented by a great char, with the bacon adding a complementary saltiness to the fray. 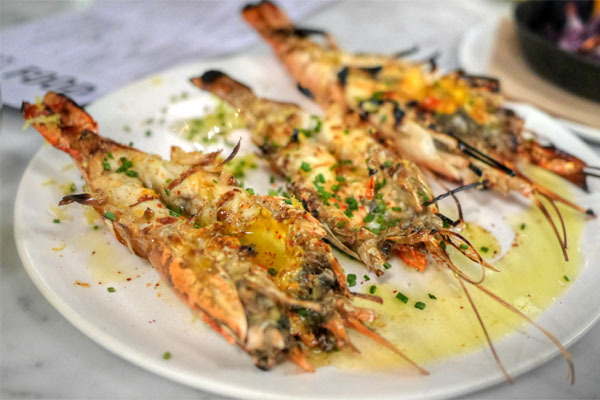 Prawns made for an impressive-looking plate, coming out well-charred, with their sweet salinity smartly played off of the zestiness of lemon and chili. 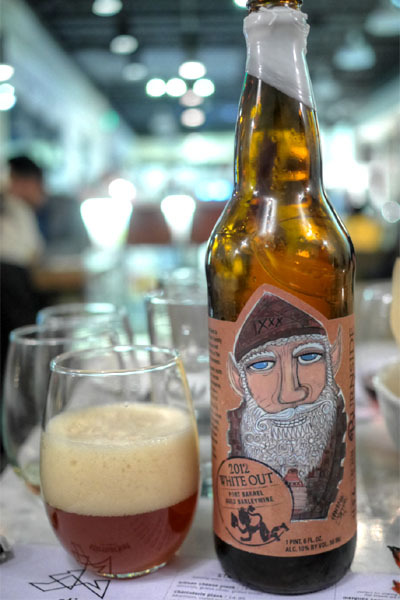 The 2012 Burnside Brewing White Out was a barleywine aged for a year in Napa Valley Port barrels that were previously used to age Big Bottom whiskey, then blended with a fresh version of the base beer. I really liked this one a lot more than I thought I would, with the beer's malt character and bitterness beautifully balanced by a permeating, vinous quality from the Port aging. 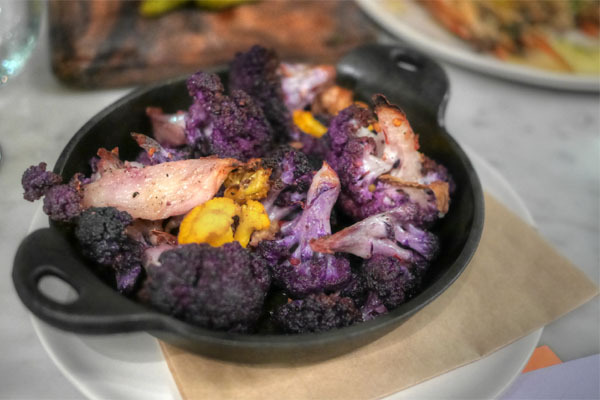 Cauliflower was delish, arriving delightfully crunchy and with a mouth-watering spice and savor. Note that the kitchen ran out of squash, so the dish was presented without the ingredient, which I didn't mind at all (it prolly would've made things too sweet). Pork tails were delightfully crisp and teeming with boatloads of porcine goodness, the greenery providing a crucial bit of balance to the course. The tails were, however, fattier than I'd prefer. 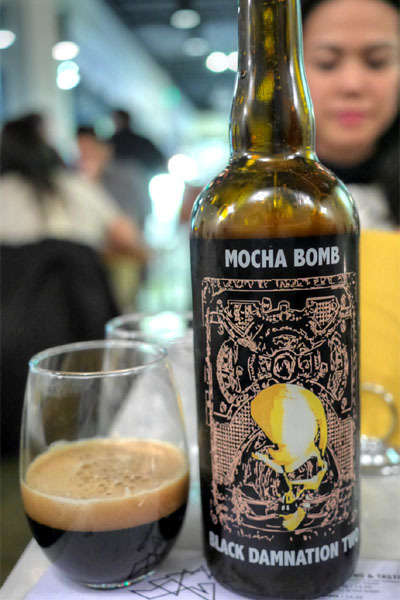 Next up was probably our heftiest beer of the night, the 2012 De Struise Black Damnation II - Mocha Bomb, a blend of 50% Black Albert stout with Columbian coffee beans, 25% De Molen's Hel & Verdoemenis stout, and 25% De Struise's own Cuvée Delphine barrel-aged stout. I loved the spicy, dark fruit-laced nose here, though flavor-wise, I didn't get much coffee, instead tasting sweet booze commingled with roasty malt and surprising smokiness. 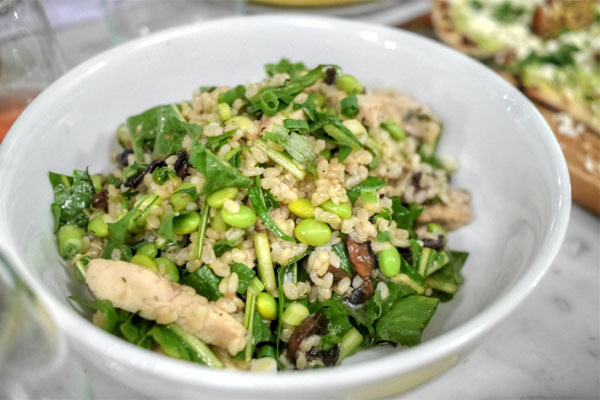 This was likely the healthiest thing we had tonight, but didn't let us down too much in terms of enjoyment, with the savoriness of the chicken and mushrooms countered by the bright, zesty, crunchy qualities of the veggies here. At this point, we were brought two further glasses to taste. The carbonic sangiovese, stolpman, los olivos, ca 2013 was a fun one, an utterly gluggable wine loaded with notes of light, sweet fruit and a palpable effervescence. The syrah/grenache, beckman cuvée le bec, santa ynez, ca, on the other hand, was definitely weightier. Aromas included bountiful dark berry fruit and spice, and on the palate, I got some pleasant tannins, along with more jammy fruit and warming spice. 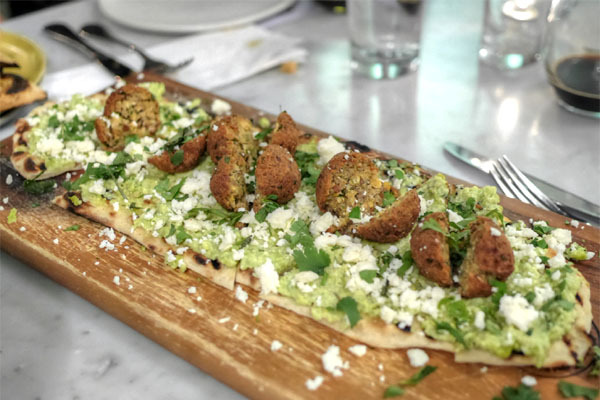 Stir's vegetarian flatbread was surprisingly satisfying, with the crisp, nutty falafels presented with the brightness of the edamame-enhanced hummus while the feta added a good heft to the dish. 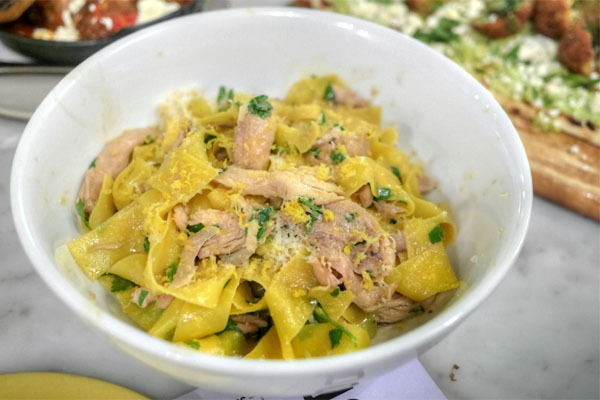 Chicken came out savory and tender, amped up by the parsley and grounded by the wide strips of pappardelle. Lemon, meanwhile, contributed an overarching tanginess to the course, but I wanted less of it. 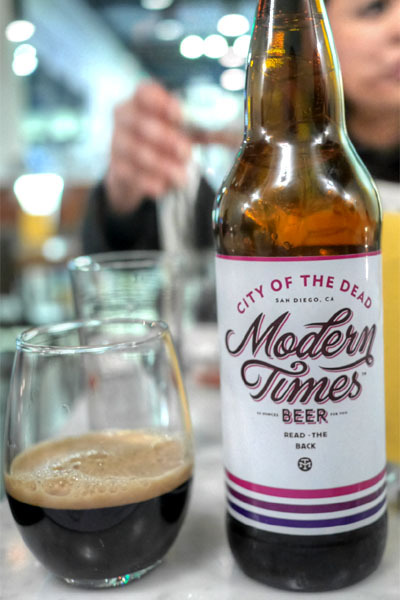 The 2014 Modern Times City of the Dead was a beer that I'd been curious about for a while now, mainly due to the fact that it incorporated barrel-aged coffee beans (so the beer itself isn't barrel-aged). I found this quite complex and well-balanced, with the rich, roasty, woody qualities of the coffee gorgeously integrated with the inherently malty, chocolate-y flavors of the base stout. 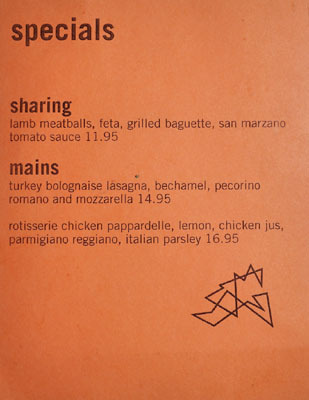 I always like to order the meatballs, and Stir's were a prime example of such. Texture-wise, they were springy, yet supple, and I appreciated how their immensely gratifying, spicy, lamb-y flavors here were countered by the tartness of the tomato sauce. 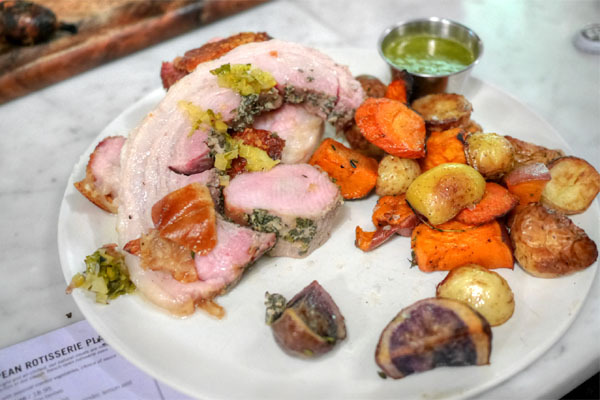 Porchetta was super herby, with the aromatic combo of rosemary-lavender-fennel key in evening out the fatty, full-flavored pork. There were some wonderfully crispy bits of skin here, and the root veggies certainly made sense, too. For our accompanying sauce, we chose the salsa verde (green herbs with lemon and olive oil), which was pretty much the perfect accoutrement to the meat with its bright, offsetting zippiness. 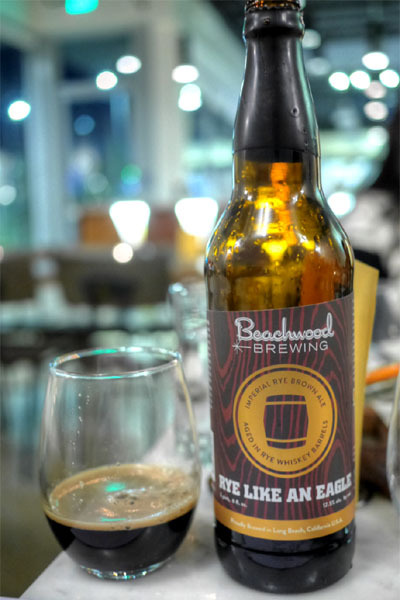 I then opened a bottle of the 2015 Beachwood Rye Like an Eagle, which was just released at the brewery hours earlier. A rye brown ale aged in rye whiskey barrels for a year, the beer was much to my liking, with its impressions of chocolate, malt, brown sugar, and dark fruit beautifully overarched by the spiciness of the rye barrel. 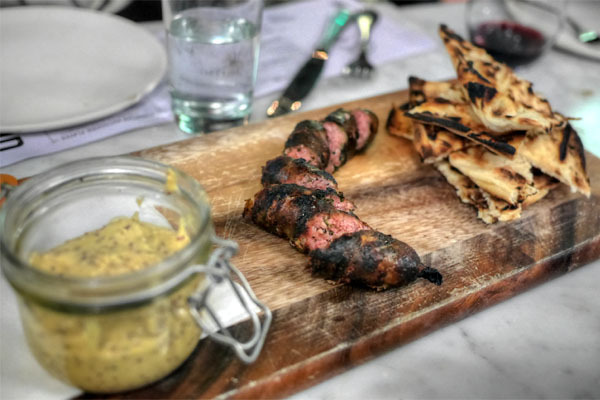 Sausage was tasty, with a great savoriness to it that was nicely set off by the heavy charring present. However, I really wanted it moister, juicier, and with a snappier casing as well. Excellent mustard, meanwhile. 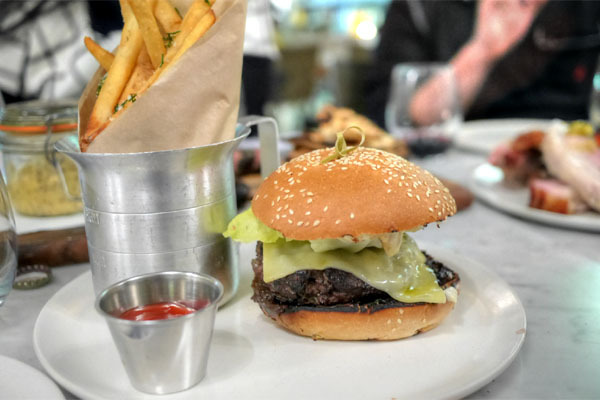 We ended our savories with the burger, which showed off the deep, earthy flavors of the beef, taken up a notch by the onion jam and cheese while the veggies added the requisite levity to the course. And the fries? Herby, crisp, and pretty much perfect. 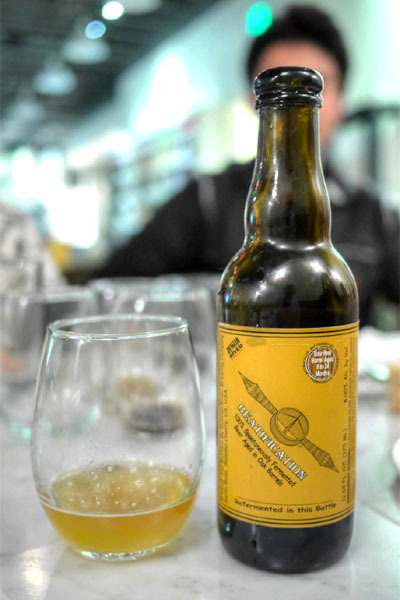 The 2012 Russian River Beatification is heavily hyped, but the beer largely lived up to its reputation. A spontaneously fermented sour ale aged in oak barrels, this one displayed glorious notes of tartness and funk, interleaved with sharp hits of citrus, the whole thing drinking acidic, crisp, and dry. Unapologetically puckering, but multifaceted. We were quite full by this point, but dessert was still a must. Click for larger versions. 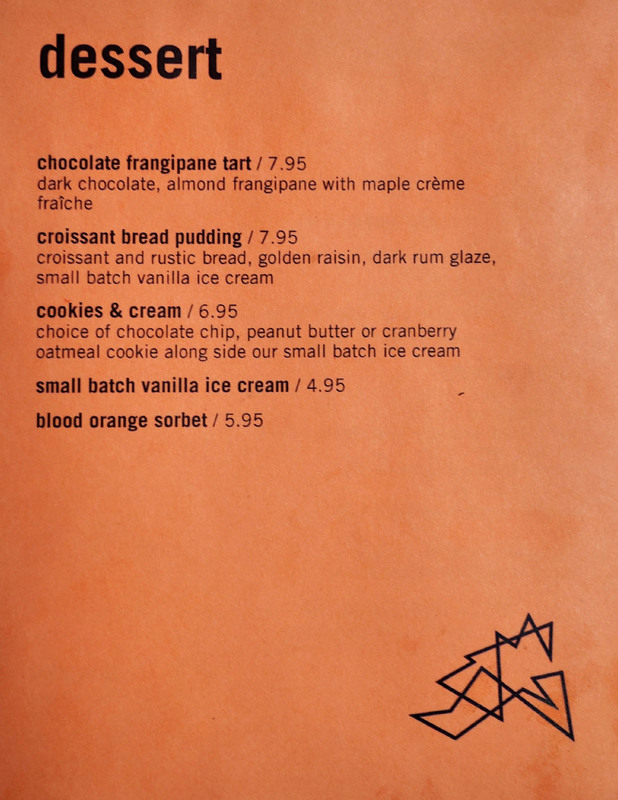 A frangipane tart was crisp yet crumbly, with nutty and sweet flavors over a base of rich chocolate, the crème fraîche up top adding a much-needed lightness to things. 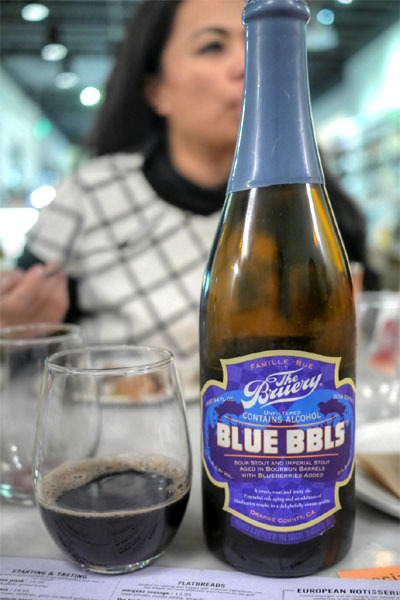 Our final beer brought out the Hoarders-exclusive 2014 The Bruery Blue Bbls, an amalgam of bourbon barrel-aged imperial stout, bourbon barrel-aged sour stout, and blueberries. This was very neat, and very tasty, with the malt and roast characteristics of the stout playing gorgeously with the tart, acidic, juicy nature of the fruit, the whole thing finishing long and lingering with loads of blueberry pie. 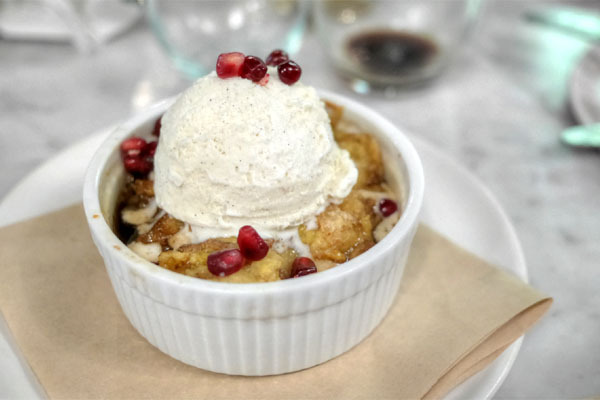 Last up was one of the better bread puddings I've had in recent times. This one came out hot and substantial, with its in-your-face caramel, dark fruit, and rum flavors moderated by the ice cream on top. 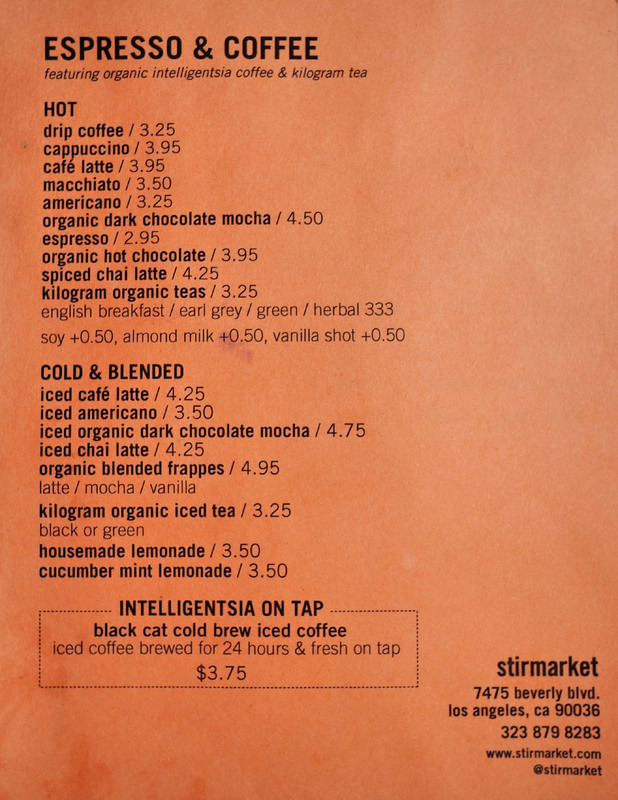 Stir looks to be a welcomed addition to the neighborhood. I can't speak too much about the market portion of the place, but it's a legitimate option to grab some straightforward eats, at least for dinner. Given how seemingly random he's been over the past several years, I'll be curious to see where Tila pops up next. 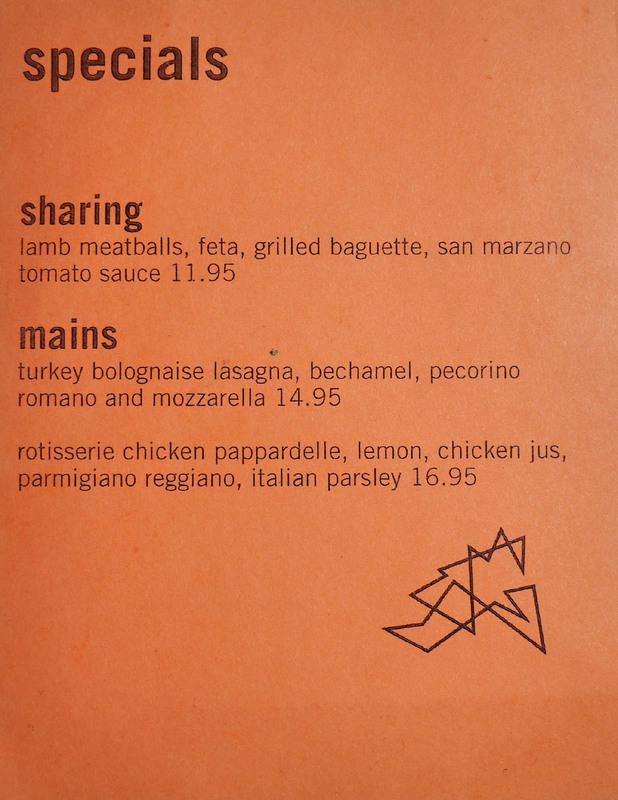 Did you already eat some of the porchetta when you took the photo? It looks very thin, and like a half portion or something. Is the photo deceiving for some reason? What was your favorite thing overall here?